Makerere University in Kampala (Uganda) was the first place of implementation of the STEP training. Makerere University is one of the major universities in East Africa with internationally renowned scholars. In 2006, the team from Leuphana University led several discussions with scholars from Makerere University to initiate the STEP project. The overarching objective was to provide a solution to the adverse labor conditions for undergraduate students by developing an entrepreneurship training. In the following two years, the STEP training was developed in cooperation with scholars from Makerere University, Makerere University Business School, Uganda Christian University, and Kyambogo University. Given the key role of Makerere University in the region, it was clear that the STEP training should take place at Makerere University. In 2008, the students of Makerere University were informed about the opportunity to take part in the first STEP training. This led to an overwhelming response with several hundred students applying for the training. 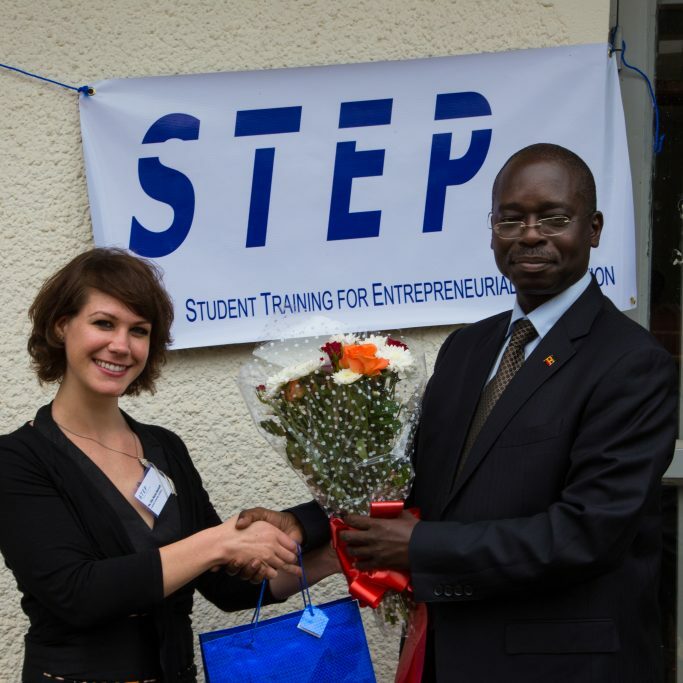 Makerere University is thus the first university to have offered the STEP training to its students. The STEP training was successfully implemented and led to the first generation of students who became enthusiastic about entrepreneurship because of STEP. The STEP training clearly made a difference, which has been shown in several interviews we have conducted with the students over several years. All partners agreed that the training provides an answer to the adverse labor market conditions and that more students from different generations and at different institutions should benefit from the training. This was the impetus for extending STEP to other institutions and regions. Uganda Christian University is a main partner and belongs to the initial team of institutions taking part in the development of the STEP training. Uganda Christian University was one of the drivers and provided invaluable contributions in all phases of the development of STEP. Therefore, it was clear that students of Uganda Christian University should take part in the first round of STEP. At the same time that the STEP training was implemented at Makerere University, the STEP training was also run with students from Uganda Christian University. The students keenly adopted the idea of entrepreneurship and pursuing a career as a self-employed business owner. The positive results prompted Uganda Christian University to offer the training on a continuous basis. 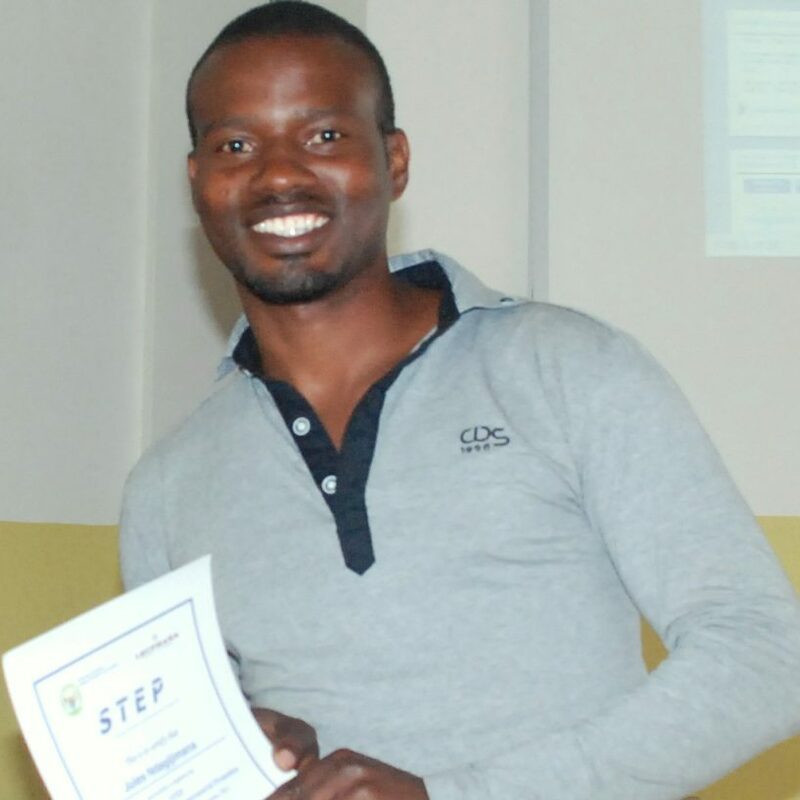 Uganda Christian University was the first university to offer and manage a second round of the STEP training in a semi-autonomous manner with only very little support from the Leuphana team. This showed that universities can easily adopt and run the training by their own if they take ownership and commit themselves to providing practical entrepreneurship training to their students. The Nakawa Vocational Training Institute was the first educational institution to implement the STEP training outside the university context. The STEP project seeks to train people at different educational levels. University students is an important group, however, students at other institutions are also in need of entrepreneurial skills. The implementation of the STEP training at the Nakawa Vocational Training Institute was an important step to extend the training to other contexts. The implementation showed that the training concept is also applicable to vocational training institutions but needs modification to account for the educational level of the students attending vocational training programs. The experience from the Nakawa Vocational Training Institute was invaluable to successfully adapt the training to different educational contexts. Kenyatta University has become a key partner after they have joined the project in 2011. 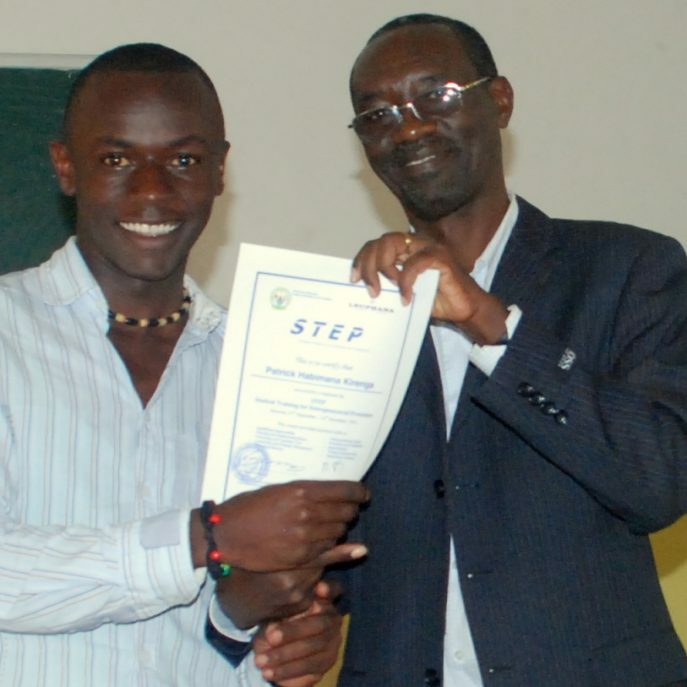 Kenyatta University was the first university in Kenya to implement the STEP training. Furthermore, at Kenyatta University it was the first time that a representative of the National Commission for UNESCO became a certified STEP trainer and was a member of the core team delivering the training to the students. This illustrates that people from various backgrounds can become STEP trainers. It is also a symbol for the integrated cooperation between the Leuphana team, the partner universities, and the national commissions for UNESCO. Since 2012, the STEP training has been running on a yearly basis with students from different disciplines and in different years of their studies. The project at Kenyatta University is a model for the fruitful cooperation between all partners and for the extension of the STEP training from a focal partner university to other national universities. Accordingly, Kenyatta University was the first university to be awarded the “STEP best-practice award” during the 2013 STEP regional conference in Kampala, Uganda. University of Rwanda acting through the School of Finance and Banking in Kigali, Rwanda was part of the wider team starting the project in 2006. The School of Finance and Banking was a co-partner participating in all preparatory workshops that preceded the first implementation of the STEP training. The School of Finance and Banking was thus informed about the conceptual and methodological ideas underlying the STEP training. Consequently, it was easy for the School of Finance and Banking to grasp the idea and implement STEP at its institution. The School of Finance and Banking was involved in all important decisions regarding the STEP training. The School of Finance and Banking can thus be considered as one of the founding partners of the STEP training. Having the School of Finance and Banking as a partner from Rwanda was important to make sure that the STEP training meets the requirements for a training that is applicable in the wider context of East African countries. 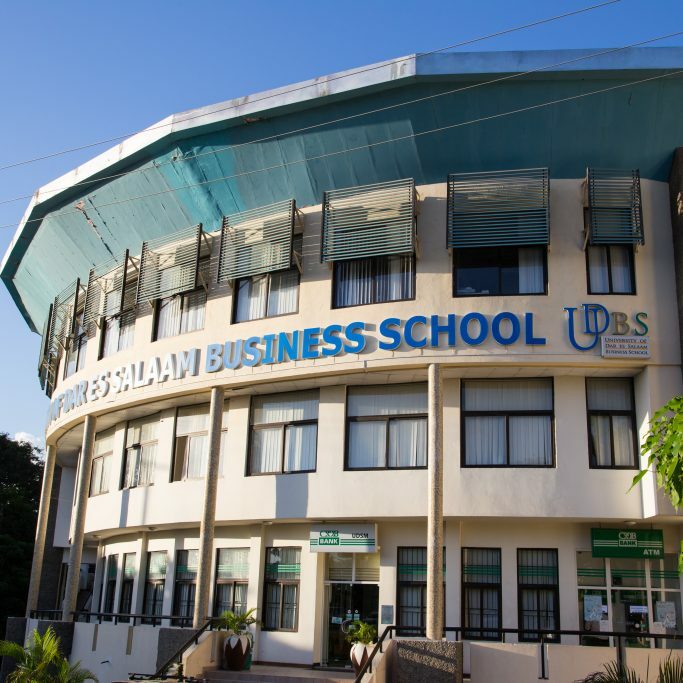 University of Dar es Salaam was one of the international co-partners participating in the STEP project since its beginning in 2006. University of Dar es Salaam has participated in all workshops to develop the STEP training and has provided extremely valuable contributions regarding the internationalization of STEP. 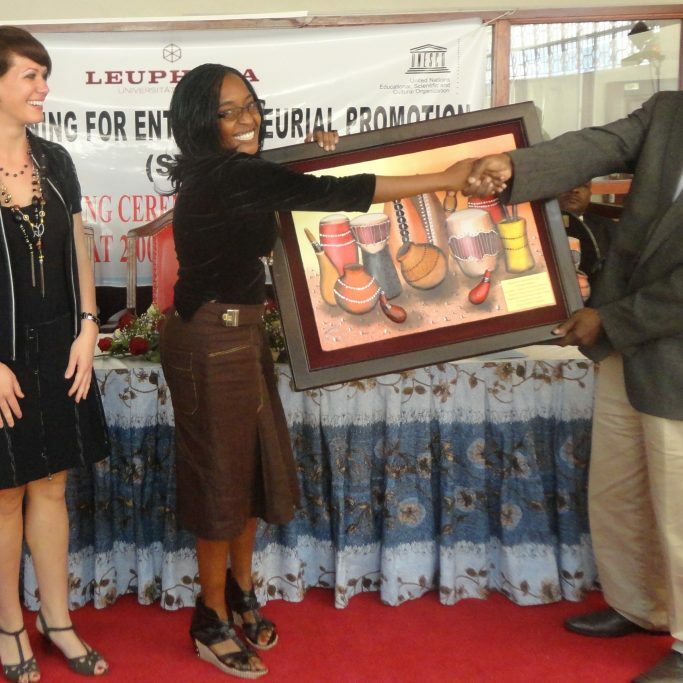 In 2013, the STEP training has been implemented at University of Dar es Salaam for the first time. This implementation featured the first scientific evaluation of the STEP training-of-trainers workshop. The evaluation included a full video coverage of the workshop and all training sessions. This allowed us to conduct an in-depth examination of the processes in the training-of-trainers workshop as well as the training sessions leading to the positive effects of STEP. The project at the University of Dar es Salaam continues on a regular basis with several follow-up studies to assess students’ long-term success. The implementation of the STEP training at University of Liberia constituted a milestone in the history of STEP for several reasons. First, the project at University of Liberia was the first project that was supported by the German Commission for UNESCO. The German Commission for UNESCO was the main driver in initiating and sustaining the project in Liberia. The German Commission for UNESCO financially supported the project and established the relationship with the National Commission for UNESCO in Liberia as well as the University of Liberia. Second, the project in Liberia was the first STEP training that was conducted outside of Uganda. The project thus showed that the STEP training can be applied in different international contexts and is not only useful for countries in East but also in West Africa. Third, the STEP training at University of Liberia was the first training in which the trainers were not involved in the development of the STEP training. This means that the concept, content, and methodology of the STEP training were all new to the trainers. It was essential to develop a train-the-trainers workshop to familiarize the team of trainers from the University of Liberia with the conceptual ideas underlying STEP. The trainers took part in a three-day train-the-trainers workshop to become certified STEP trainers. The evaluation study showed that it is possible to train a team of trainers in a workshop in a way that they grasp all the essential ideas of STEP and transfer them to the students attending the training. 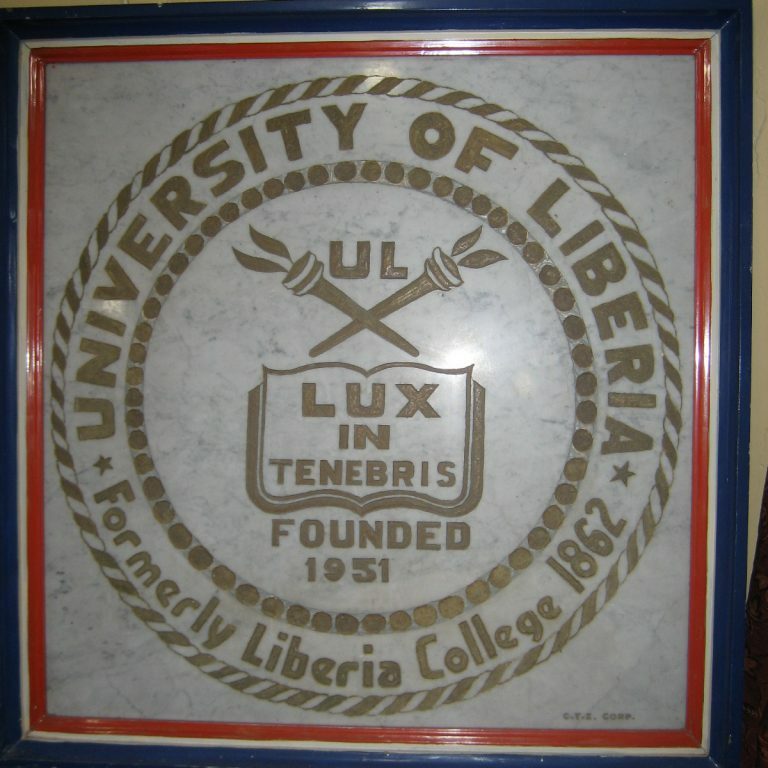 Finally, the project at the University of Liberia was the first implementation that took place according to a three-year cycle in which the University gradually takes over the management of the training. At the end of the cycle, the university is able to run and finance the training by its own and train new lecturers without any external support by the Leuphana team.